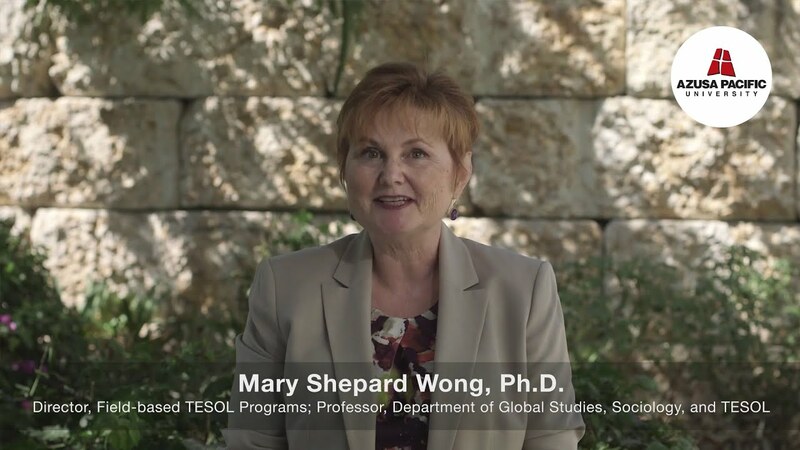 Mary Shepard Wong, Ph.D., has three decades of teaching experience in ELT and teacher education in the U.S., China, Thailand, and Myanmar. Her doctorate is in International & Intercultural Education (University of Southern California), and her Masters degrees are in East Asian Languages and Cultures (UCLA), and TESOL (Azusa Pacific University). She is a Fulbright Scholar (2012-2013) and honorary research fellow at Chinese University Hong Kong. She has conducted over 60 presentations and has several publications including two edited books with Routledge and one textbook with Cambridge. She has served in leadership positions in TESOL, CATESOL, and Cambodia TESOL. She is a founding member of the Board of Trustees for an emerging university in Kurdistan, Iraq and has developed study abroad programs in Thailand, Myanmar, and Egypt. Her publication and research interests include internationalization of higher education, global competence, and the role of faith in ELT. She resides in Pasadena, CA with her husband and has two grown children. She directs one of the graduate TESOL programs at Azusa Pacific University where she is a full professor.